Ready to change your life? Reach your goals? Then a therapist can help. But finding the right therapist is a lot like dating -- you need to find someone you can truly connect with and trust. Is this your first time entering therapy? Here's how to find the perfect therapist. People seek out therapy for different reasons. Some might be experiencing anxiety while others are battling a divorce or other life stressors. 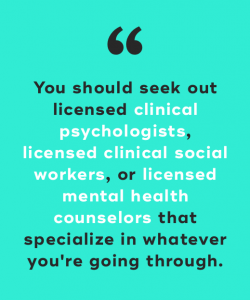 You should seek out licensed clinical psychologists, licensed clinical social workers, or licensed mental health counselors that specialize in whatever you're going through. Take into account their years of experience and the types of therapeutic styles they use before choosing a therapist. If you're clueless about the process of finding a therapist, you should browse through Psychology Today's website that allows you to search for therapists based on your insurance, location, and specific issues. You'll be able to read all listed therapists' profiles before deciding on a few that interest you. You can also ask around for recommendations. Try asking your friends, family members, coworkers, and healthcare professionals. When it comes to finding the perfect therapist, it's important that you're both compatible. Because the therapeutic alliance is such a big part of therapy, you should feel comfortable disclosing intimate information to your therapist. 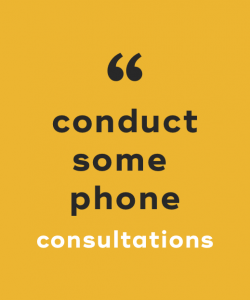 One way to find out if you're a good fit with potential therapists is to conduct some phone consultations. Gauge how comfortable you feel talking to them. Do they seem interested in speaking with you? Does the conversation flow naturally? Most importantly, you should ask prospective therapists what their theoretical orientations are. For instance, psychodynamic therapists will mostly be focused on childhood history and dreams, while cognitive behavioral therapists will help you identify and change problematic thoughts and behaviors. A lot of therapists mix several different therapeutic interventions together to meet your needs. Where did they go to school? While having graduated from the best school doesn't automatically make for the best therapist, your therapist's school should be accredited. What is their specialty? Is it anxiety? Depression? ADHD? Eating disorders? Have they worked with clients with your issues before? What is their training? Are they trained in psychoanalysis? Are they licensed? How long have they been licensed for? Have they been in therapy before? Any therapist you choose should also be in therapy themselves as well. It's important for therapists to constantly do their own work. Remember that many people just go to therapy temporarily to help them overcome issues. Even though your therapist feels like a match made in heaven, your needs will change over time. Once your therapist teaches you appropriate coping strategies, you'll be able to discontinue therapy or just go once in awhile for tune-up sessions. 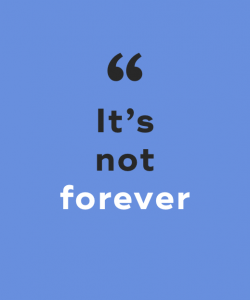 But it's not uncommon for other life changes to take longer. You and your therapist should discuss a desired timeline of therapy together. Therapy can be life-changing. But finding the perfect therapist can be difficult. 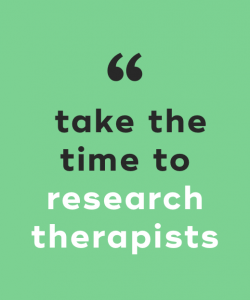 In your quest for the right therapeutic match, it's important that you take the time to research therapists, ask prospective therapists the right questions and always listen to your intuition. Don't be afraid to shop around or ask for multiple phone consultations until you find the one. "10 Ways to Find a Good Therapist," Psychcentral, n.d.
"Demystifying Therapy: 5 Insider Tips for Finding a Good Therapist," Huffington Post, March 5, 2014. "How to Find the Best Therapist for You," Psychology Today, February 16, 2011. "How to Find the Right Therapist," NY Times, July 17, 2017.